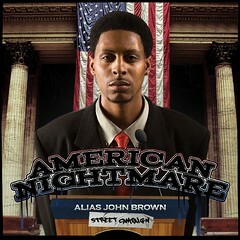 ALIAS JOHN BROWN: GET THE AMERICAN NIGHTMARE S.C. DOWNLOAD IT HERE!! 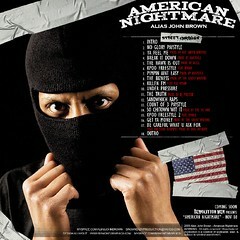 GET THE AMERICAN NIGHTMARE S.C. DOWNLOAD IT HERE!! NEW MUSIC FROM ALIAS JOHN BROWN FT KAZ KYZAH, PRESSURE BUSSPIPES, AND KMAXX FROM KPOO RADIO. WITH PRODUCTION FROM THE GHOST WRITERS, ARISTOTLE THE GREAT, AND XCELL THIS IS A INSTANT CLASSIC!